residents and the organization "A Better Mt. Pleasant" are demanding action and answers, per the correspondence below. Note - - a full archive of posts about Foxconn is here. Mt. Pleasant Village Administrator Maureen Murphy was kind enough to forward to me a copy of a Sigma Group erosion control memo from September 4, 2018 in response to my letter to you regarding storm water flooding coming from the Foxconn construction site - specifically at Lamparek Ditch on Monday, September 3, 2018. We spoke directly with the DNR yesterday and they were very clear in their statements to us that storm water management and oversight is the direct responsibility of the Village of Mt. Pleasant. 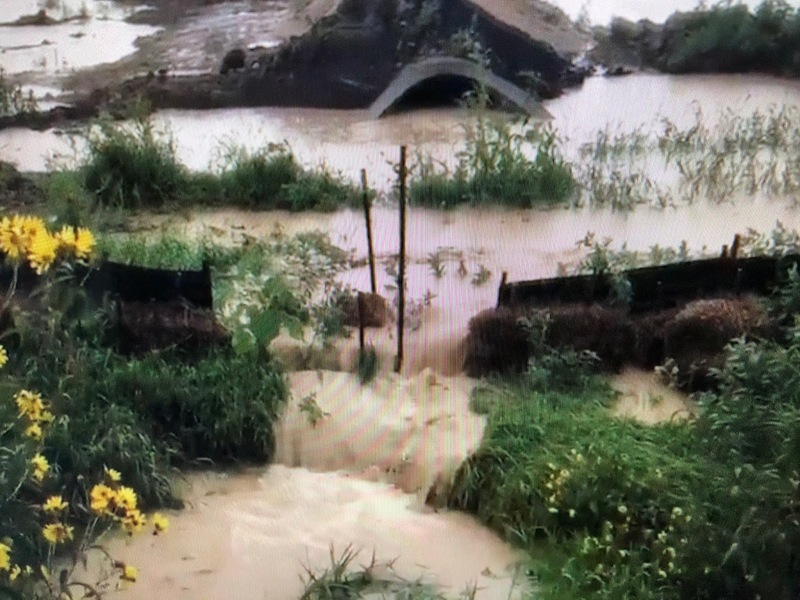 Residents have been reporting excessive storm water flooding to us since August 28, 2018. They reported muddy water and silt breaking through the containment barriers into Lamparek Ditch days before I went out and filmed it myself. According to the DNR, if sediment discharge enters a wetland or waterbody, the permittee should consult with DNR staff to determine if sediment cleanup and/or additional control measures are required. What - if any - additional control measure has been put in place given the number of occurrences at this location? Has Sigma requested such guidance from the DNR? We wish to see copies of Sigma Group’s erosion control memos from August 27, 28 and 29, as well as September 3, 2018. To reiterate my statements from yesterday, the kind of silt and muddy runoff we have witnessed at the Foxconn site is detrimental to the Pike River. Residents were assured preventative measures for storm water flooding had been calculated and put in place. The memo forwarded to us was enlightening, but does not relieve you of your responsibility for oversight and compliance in this construction zone. It's best to get the DNR on record via an email, recording or letter. Notes from a phone call or meeting don't meet their standard of proof as far as even proving comments were made. These fools are big Walkerites, so let them enjoy the dirty foul water and air. Unfortunately the only way stooopid people will learn is if the racist dog-whistles and hate they vote for comes back and slaps them in the face. They will still vote for Walker this fall and many of them are literally too ignorant to know that they are being used as pawn by their GOP gods, Walker, Trump, Ryan, Voss, and the rest.